Below you can view all the homes for sale in the Chimney Lakes subdivision located in Roswell Georgia. 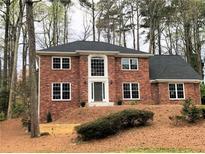 Listings in Chimney Lakes are updated daily from data we receive from the Atlanta multiple listing service. To learn more about any of these homes or to receive custom notifications when a new property is listed for sale in Chimney Lakes, give us a call at 404-998-4102. Hoa Includes Swim, Tennis, And Playground Area. Move In Ready! MLS#6540103. Realty One Group Edge. With A Full Bath In Lower Level, You Could Easily Convert To A Bedroom Or In-Law Suite. Bedroom/Office On Main. MLS#6528588. Kudzu Realty. Terrace Level Features Apt With Private Entrance. MLS#6527001. Berkshire Hathaway Homeservices Georgia Properties. Needs Some Updating And Sold As-Is, Where-Is. Great Opportunity. MLS#8545820. Parc & Main Llc. 3Hvac 'S, Chair Lyft & More, See Private Remarks! MLS#6506005. Solid Source Realty Ga, Llc.. Fantastic Deck For Entertaining With A Professionally Landscaped Yard. MLS#6119492. Virtual Properties Realty.Com. Full Finished Terrace Level Offers Bedroom, Full Bath, Billiard Room And Huge Recreation Room. Award Winning Lassiter High School ! MLS#6061226. Re/Max On Main.